Marshy and open swampy ground generally: wet shores, stream and river margins, thickets, marshes, ditches, fens, bog mats and tamarack swamps. 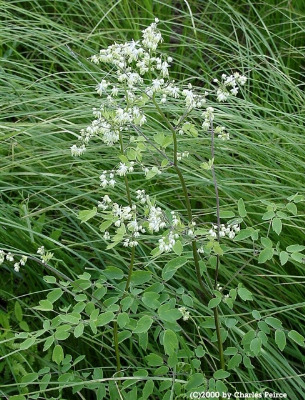 The leaflets are extremely variable in size, shape, acuteness of lobes, and pubescence. Only a very few of our specimens have the leaflets completely glabrous beneath; the margins are usually slightly revolute, and the texture is thicker than in all other species, except T. pubescens. Stigmas break off readily and anthers may vary greatly in size, so careful searching may be necessary to find the largest or most complete ones to measure. Depauperate or immature specimens may not be identifiable. MICHIGAN FLORA ONLINE. A. A. Reznicek, E. G. Voss, & B. S. Walters. February 2011. University of Michigan. Web. 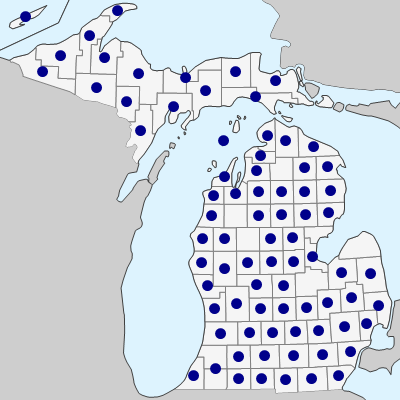 April 21, 2019. https://michiganflora.net/species.aspx?id=2401.